Someone special is to be loved, thanked and appreciated. 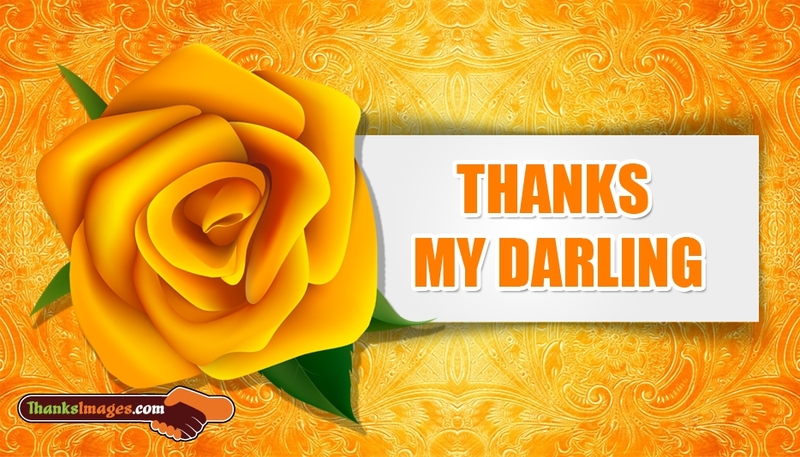 This "Thanks My Darling" message on a bright and beautiful ecard will give best thank you messages with wishes for that special someone. It is a great way to show gratitude while keeping your relationship ever so romantic. Learn and appreciate the effort of your loved ones with a simple thank you note that makes his/her day.